When people are involved in an auto accident, they are at risk for many different types of traumatic injuries, such as bone fractures. The sudden change in momentum places the driver and passengers at risk of developing serious spinal cord injuries. These can cause people to lose a motor or sensory function in various parts of their body depending on the level of the spinal cord injury. Those involved in motor vehicle accidents are also at risk of suffering a traumatic brain injury. These can range anywhere from a concussion to a cerebral contusion or even an intracerebral hemorrhage. There are many different types of brain bleeds, including epidural hematomas, subdural hematomas, and subarachnoid hemorrhages. These could be emergent medical situations that could require neurosurgical intervention to prevent a cerebral herniation and subsequent death. 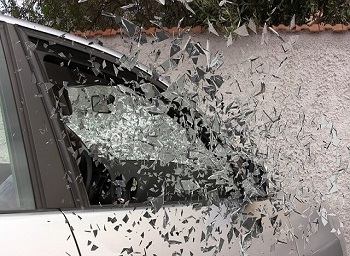 Some people could suffer facial fractures if their head collides with the steering wheel or dashboard. Any of these injuries alone is a serious situation; however, those who have more than one of these injuries at the same time could be placed in a dire situation. How often these injuries occur together was the focus of a literature review that was published recently. The researchers conducted an extensive search of multiple electronic databases to find the most up to date research and case reports on the various injuries mentioned above. The goal was to quantify the rate at which multiple injuries happened in the same case and why someone might suffer multiple injuries at once. The researchers amassed over 260 cases where these types of injuries were mentioned. However, they also found that the earlier studies had murky classifications when it came to quantifying the injury type and severity. Furthermore, the studies also did not describe how having multiple injuries, called polytrauma, impacted the patient’s outcome and recovery. Therefore, they tried to figure out what kind of causes existed for numerous neurological injuries and how suffering more than one injury might impact the diagnosis, treatment, and recovery process for the patients in question. The researchers discovered that the most common cause of someone suffering multiple injuries to the face, head, and spine was being involved in a motor vehicle accident. The most common pairing of injuries was facial fractures with a closed head injury. A closed head injury results from blunt trauma to some region of the skull and can lead to brain bleeds and contusions. Those who had injuries to the face and spine spent an average of 19 days in a hospital. However, those who suffered facial injuries with an injury to the spinal cord spent close to five weeks in a hospital. Patients also suffered fractures of the mandible, also known as the jaw, at very high rates. These were placed into the classification with other facial fractures. This demonstrates the severity of suffering multiple injuries to the head or spine. Head injuries in auto accidents have already received a significant amount of attention in literature. Spine injuries have been studied extensively as well. However, this is the first time that multiple neurological injuries have been explored in unison. Over time, treatment plans have been put together and developed for serious head and spine injuries, such as epidural hematomas and injuries to the atlas and axis in the spine. On the other hand, the treatment plan could change if the patient has suffered other multiple serious injuries in a car accident. With so many severe injuries, it can be challenging to figure out what injury to treat first, particularly if one injury impacts the other. This study helps to point out how often these injuries are sustained simultaneously. Armed with this new information, doctors are able to treat all of the injuries together instead of one at a time. While these injuries can be expensive to treat, particularly if surgery or rehab are needed, there are legal options available that patients can explore. I’m Ed Smith, a Sacramento Personal Injury Lawyer. 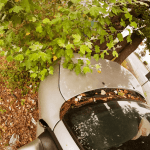 Traumatic car accidents can cause serious multiple injuries. If you or a loved one has been hurt in an accident, call me for free, friendly advice at (916) 921-6400 or (800) 404-5400. I have been a long-standing member of the California area’s Million Dollar Advocates Forum. Please take a few minutes to peruse some of our earlier verdicts and settlements here. Past clients have taken the time to write informative reviews that are posted on Avvo, Yelp, and Google. Image Attribution: The 3.0 version of the Creative Commons, Unported, Share-Alike License has given permission to reprint the image seen above. It was originally found on Wikimedia Commons.